Israel hits Syria in daring daytime raid, attacking Iranian weapons being transferred to Islamonazi Hezbollah…….. – The Tundra Tabloids……. Israel hits Syria in daring daytime raid, attacking Iranian weapons being transferred to Islamonazi Hezbollah……..
“Our air defenses had successfully engaged an Israeli aerial attack targeting the southern region and prevented it from achieving any of its objectives,” a source told Syrian media. Israel’s Iron Dome missile defense system intercepted a projectile launched from Syria after Damascus accused Jerusalem of carrying out a rare daytime attack on the south of the country on Sunday. Pictures from Israel’s popular Mount Hermon ski resort, which was full of tourists enjoying the snow-filled hill, showed two trails from Iron Dome missiles while screams from children were heard in a video from the scene. The interception came shortly after the Syrian regime accused Israel of carrying out airstrikes in the south of the country, triggering air defenses that intercepted several of them. 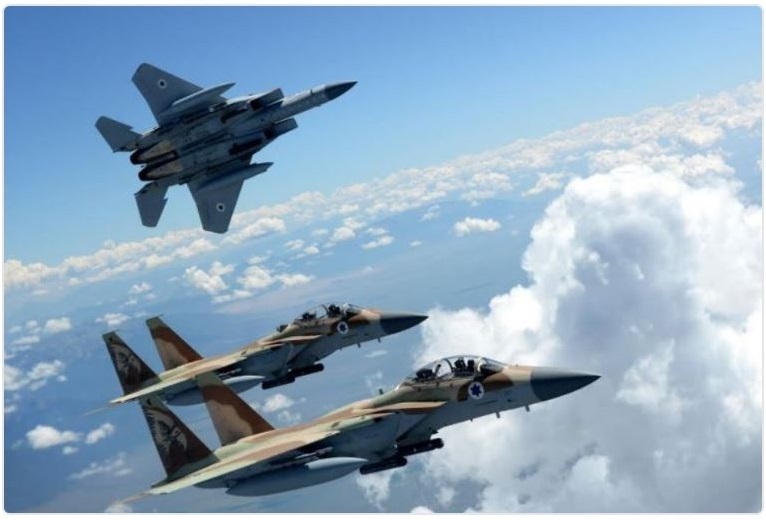 “A military source said that our air defenses had successfully engaged an Israeli aerial attack targeting the southern region and prevented it from achieving any of its objectives,” read a report by the official Syrian news agency SANA. Al-Manar, Hezbollah’s media network, reported the attack near Damascus but gave no further details. Syrian regime supporters said that a total of nine Israeli missiles were intercepted by regime air defenses. Russia’s Ministry of Defense, according to RIA news agency, said four Israeli jets fired seven missiles at the international airport, causing no injuries to Syrian nationals. The Syrian regime used the Buk and Pantisr systems to intercept the missiles, according to Sputnik, the Russian news agency. Previous Post Previous Post Never Trumper Bill Kristol deletes tweet denouncing hapless lads in MAGA hats verbally abused by group of Black faux-Jews and radical Indian provocateurs……..
Next Post Next Post US: Nathan Phillips Lied. The (lying) Media (in Finland as well) Bought It……..